Dr. David Sandberg discusses causes, symptoms, and treatment options for arachnoid cysts in children. View a video presentation on the diagnosis and treatment of pediatric arachnoid cysts with Children's Memorial Hermann neurosurgeon Dr. David Sandberg below. 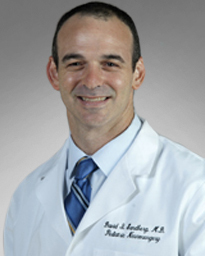 Dr. David Sandbergdiscusses the diagnosis ofarachnoid cystsin children and the latest in treatment options atChildren’s Memorial Hermann Hospital. If you would like to contact us about arachnoid cysts, please click below and use the online tool to help us contact you. Nikki's symptoms, which became more painful over the years, drove her to seek help from different doctors and surgeons before a 1.6-cm cyst was discovered in the pineal region of her brain.